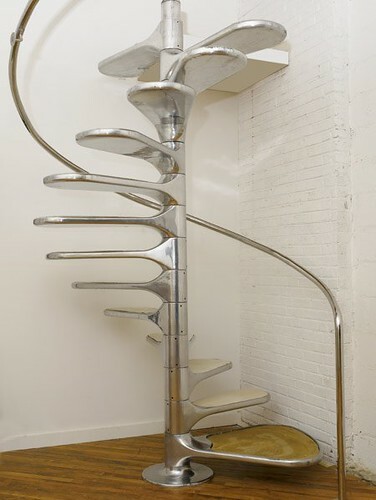 This disassemblable spiral staircase by French industrial designer Roger Tallon is, not surprisingly, in the design collection of the MOMA. It is both ingenious in engineering terms and beautiful. Tallon is one of those prolific and versatile designers responsible for a diverse collection of projects. Among many other things these include the Wimpy chair, cutlery, TVs, sinks, France’s streamlined TVG high speed train, and more recently he was the design director for the Eurostar trains as well.